See the Pen Font Awesome5 アイコン表示【基本】（Web Fonts with CSS） by niwaka-web (@niwaka-web) on CodePen. See the Pen Font Awesome5 アイコンサイズ（Web Fonts with CSS） by niwaka-web (@niwaka-web) on CodePen. See the Pen Font Awesome5 等幅サイズ（Web Fonts with CSS） by niwaka-web (@niwaka-web) on CodePen. 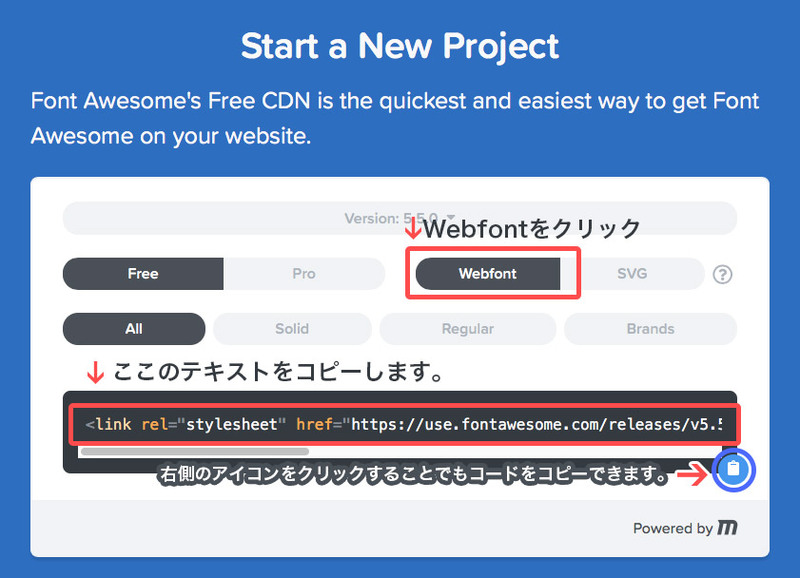 See the Pen Font Awesome5 リストアイコンとして使う（Web Fonts with CSS） by niwaka-web (@niwaka-web) on CodePen. See the Pen Font Awesome5 アイコンを線で囲う（border）（Web Fonts with CSS） by niwaka-web (@niwaka-web) on CodePen. See the Pen Font Awesome5 アイコンの右寄せ、左寄せ（Web Fonts with CSS） by niwaka-web (@niwaka-web) on CodePen. See the Pen Font Awesome5 回転と反転（Web Fonts with CSS） by niwaka-web (@niwaka-web) on CodePen. See the Pen Font Awesome5 アイコンを重ねる（Web Fonts with CSS） by niwaka-web (@niwaka-web) on CodePen. See the Pen Font Awesome5 擬似要素に表示（Web Fonts with CSS） by niwaka-web (@niwaka-web) on CodePen.